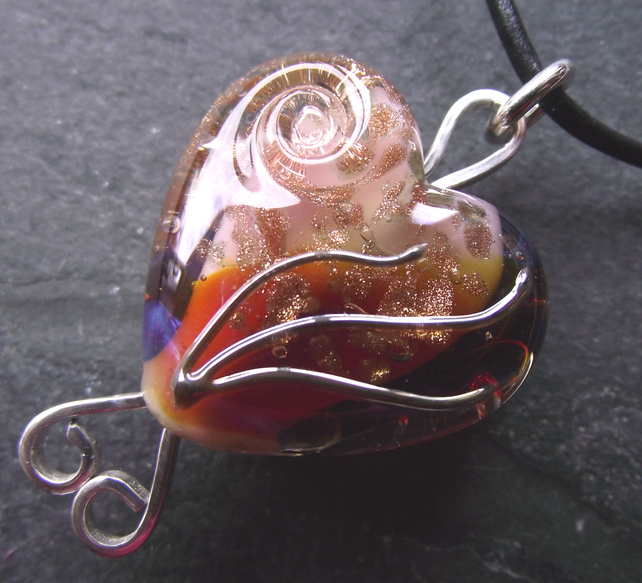 When I saw this heart bead I just loved it and to be honest, I shall be sorry to see it sold ! A hand made lampwork glass heart with the most beautiful colours of pinky gold with flashes of purple and goldstone flecks set within the glass. A unique and beautiful pendant, perfect for a special Valentine gift. Folksy :: Buy "A Scottish Valentine"
Folksy :: Buy "Dramatic Heart! Black Crystal Agate with Sterling Silver Bail." Copyright © 2019 Craftjuice Handmade Social Network. All Rights Reserved.